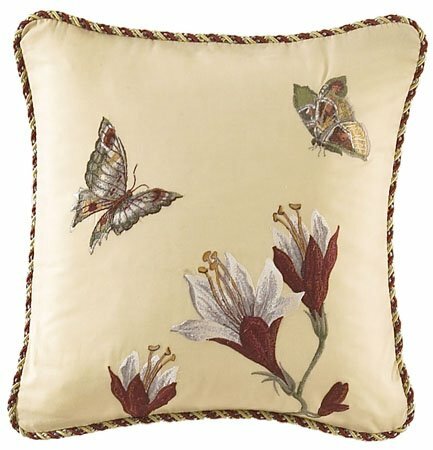 Laurel Springs Embroidered Accent Pillow features lilies and butterflies embroidered in crimson, green, gold, and white on a natural background. Tri-color braid trim at edges. Hidden zipper closure. 16" x 16". Spot clean only. 100% cotton.